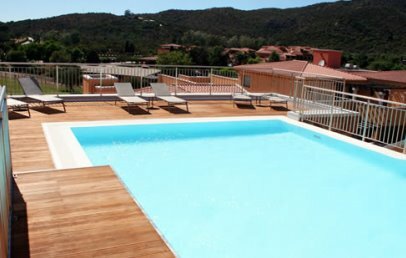 location, near the sea and only a few km from the bars and restaurants of Porto Rotondo. Newly built just a stone’s throw away from the beach, on the stunning Gulf of Marinella and just 5 km from Porto Rotondo. 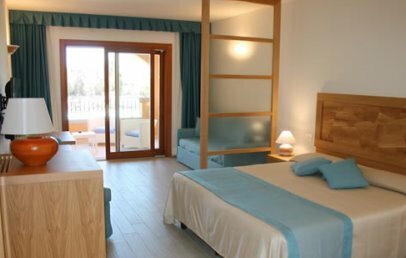 At the heart of the Costa Smeralda, Hotel Marana is located close to the area’s small tourist port, shops and sports facilities. 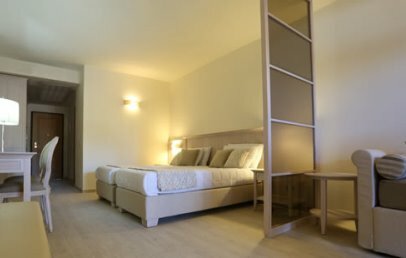 The hotel is easily accessible from Olbia’s port and airport, both situated a mere 12 km away. 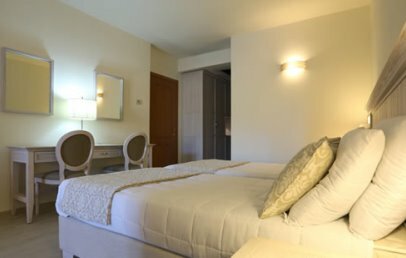 A recently-built 4-star hotel set deep in a lush Mediterranean garden, located just a few minutes from the long, white-sand beach of Marinella. The hotel is spread over several floors; guest bedrooms are located on the ground, first and second floors, and the third floor plays host to two suites. Hotel Marana has 64 rooms, spread over several floors. 28 Superior – king-size bed, bathroom with shower. Terrace or balcony. 35 Junior Suites – king-size bed and living area, bathroom with shower. 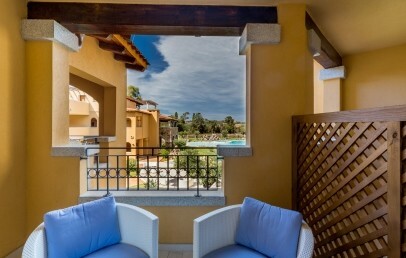 Equipped terrace or balcony, view over the garden or the pool. 1 Presidential Suite – located on the third floor with 72 sq.m., composed of the Executive Suite and the Deluxe Suite, with a private pool and sea view. The nice beach of Marinella is located just a few minutes from the hotel and the hotel guests can use a sun loungers and sun umbrellas. 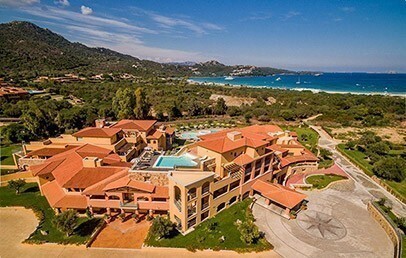 The Costa Smeralda’s beautiful and famed beaches are just a few kilometres away from the hotel and guests wishing to get out and explore the local area can easily access them by car. Hotel Marana’s renowned buffet restaurant offers guests the chance to try exquisite traditional Mediterranean dishes, as well as more international cuisine. The hotel’s bar serves refreshing drinks that guests can also enjoy while reclining at the poolside. Sun loungers and parasols are also available at no extra cost, both at the beach and the pool. Small pets are welcome (at an additional cost of € 30,00 per day until 7Kg - for dogs of more than 7Kg an extra supplement of € 30,00 per day is required), but may not accompany guests in communal areas, the restaurant or the bar. For the younger guests is a playground available. Members of our multilingual staff are on-hand to help guests at all times. 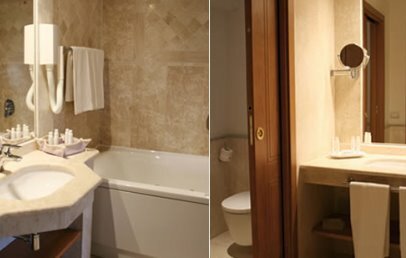 Rooms featuring exquisite Orosei marble, with king-size bed and bathroom with shower and towel radiator. These rooms have an equipped balcony or terrace. 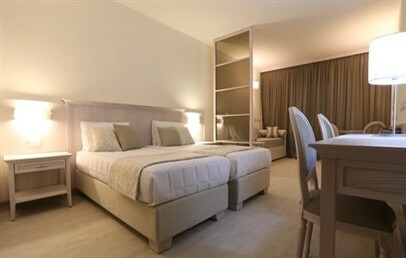 Spacious rooms with a king-size bed and living area, ideal for families. Bathroom with bathtub or shower and towel radiator. These rooms have a balcony or terrace equipped with lounge furnishings and a view over the garden. This suite offers a bedroom and living room, en-suite bathroom with bathtub or shower and towel radiator. Spacious furnished terrace with sea view and pool in common use with the guests of the Deluxe Suite. 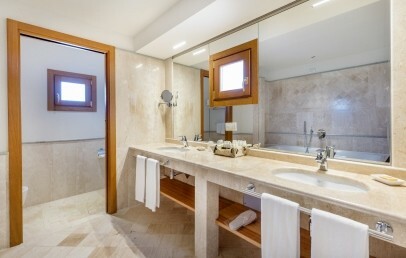 This suite offers a bedroom and living room, en-suite bathroom with bathtub or shower and towel radiator. The spacious terrace overlooks the sea and pool in common use with the guests of the Executive Suite. The Presidential Suite is composed of the Executive Suite and the Deluxe Suites and offers two bedrooms and a large living room. A walk-in wardrobe and two bathrooms featuring exquisite Orosei marble, with shower and separate dressing room. The large terrace has a private pool and lounge area, ideal for private dinners while luxuriating in the stunning view of the Costa Smeralda. You can book your “Secret Room” with a special and very convenient rate: the reservation of the Secret Room includes a special discount, but does not allow you to select the room typologies. Once you arrive in the hotel, the current available “Secret Room” will be assigned to you. Early Booking - Book within April 30th 2019 and get a 15% discount on your stay! Early Booking - Book within May 31st 2019 and get a 10% discount on your stay! Long Stay - Book 7 nights and last night is free of charge! Long Stay - Book 14 nights and last 2 nights are free of charge! Special gift for Charming's guests: a free buffet dinner per stay (beverages not included) if you book minimum 7 nights.